Need group transportation in Denver, Colorado? Trust Shofur to find the best bus option for your traveling group. We'll put together a fleet just for you and ensure that you and your passengers travel safely and comfortably. Call us any time at 1-800-436-8719 to receive a free, no-obligation quote for your trip! Make the most of your time in Denver, Colorado. Whether you’re organizing a group from a neighboring state to visit the Mile High City, or you’re in charge of booking buses for an upcoming event in Denver, you can count on Shofur. 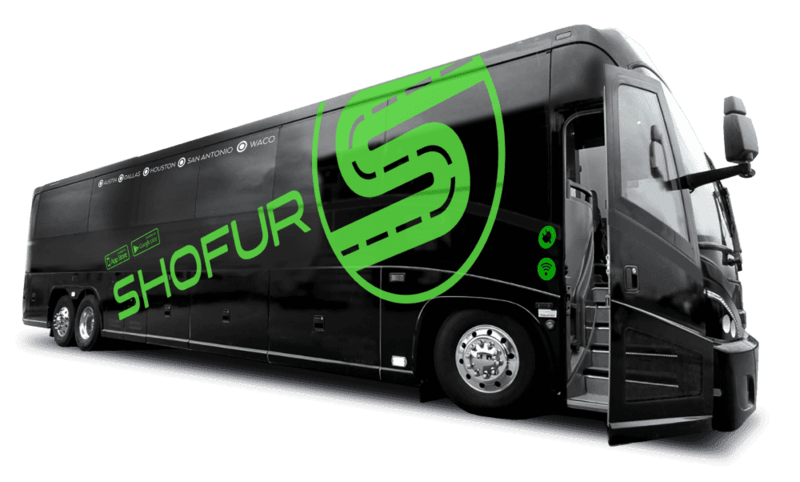 Shofur accesses an incredible network of buses ranging in capacity from 12 (or fewer) to 56 passengers. And with more than 3,000 buses to choose from, we’ll have no problem finding your group a ride. However, our best buses do get snatched up first. If you want the best bus experience possible with upgrades like WiFi and reclining seats, we suggest you book sooner rather than later. Luckily, our booking specialists are available all day, every day, to speak with you. Call us now at 1-800-436-8719 to hear our bus rental recommendations for your occasion. If you’ve ever flown into the Denver International Airport, you know that it’s not exactly in Denver. To get to all the action in the Mile High City, you will have to drive at least 30 minutes from the airport. Don’t leave this detail to your guests to figure out upon arrival. Out-of-town family and friends coming to Denver for your wedding or wedding festivities will be overjoyed if you arrange for an airport shuttle to pick them up and bring them to their respective hotels. You can also rent out efficient and sleek shuttles for the day of your wedding. Ensure nobody is late to the wedding (besides the bride, of course) by scheduling a few 25-passenger minibuses to take guests to the ceremony and reception and back to their hotels. You can equip these buses to have all kinds of impressive features—from WiFi to personal power outlets to premium seats—so the journey to the celebration can be just as fabulous. Celebrate a friend’s milestone birthday by booking a tailgate bus to take your group to the Denver Broncos game. Or, book transportation for a sweet 16 party. Special events become even more special with a private driver and refreshed ride. For Denver weddings and celebratory events, you can trust Shofur to take you to and from the places listed below, among others. Call your booking specialist today at 1-800-436-8719 to see what we recommend for your occasion. Moss Denver is an urban-industrial indoor venue in the Santa Fe Arts District of Denver. Exposed rafters, cement floors, and factory-style windows set the scene for your wedding day. Built in 1902, the Grant–Humphreys Mansion is draped in the Neoclassical style of architecture by Boal and Harnois. It was built for James Benton Grant following his single term as the third Governor of Colorado. Also in the Arts District, Space Gallery is a modern art gallery exhibiting paintings, sculptures, ceramics, and prints. It is spacious and filled with light, making it a popular artsy wedding and special event venue. Venue 221 has a historic past, with the first footprint of the building taking place back in 1871. The 2018 owners purchased the space in 2012, bringing an event center to Cherry Creek North. Taking a tour to see some of Denver’s best sites is great, but it’s even better when it’s personalized to your liking. Imagine being able to hit all the museums, bars, and parks you want on your own DIY tour of Denver. With Shofur, you can string together your own voyage across the city with all your favorite people in tow and a professional driver behind the wheel. You can also use our bus rental services to take you out of Denver for the day. Take a day trip to Boulder or Colorado Springs, or book a bus to bring everyone to a concert at the Red Rocks Amphitheatre. The ride to any destination outside of Denver will undeniably be comfortable and enjoyable. Add TV monitors to your 30-passenger minibus, or choose to enjoy the mountainous views from an upgraded leather seat. Sweeping panoramic windows multiply the quality of your view. Stay in city limits or adventure out on the road—either way, Shofur can make it happen for your group. Check out some of the below Denver attractions you can add to your Shofur itinerary. You can find DAM in Denver’s Civic Center. The art museum is one of the largest between the West Coast and Chicago. Learn all about Buffalo Bill Cody's exciting story as Pony Express rider, army scout, buffalo hunter, and showman at Buffalo Bill Museum & Grave. This site is atop Lookout Mountain, rewarding you with views of the snow-capped Rockies and the Great Plains. Riders 21 and over can “Taste the Rockies" at the source. The Coors Brewery in Denver is the world's largest brewing site, and yet it still uses the same Rocky Mountain spring water that Adolph Coors discovered back in 1873. Embark on a free, self-guided tour. Twenty-five minutes outside of Denver, near Morrison, the Red Rocks Park & Amphitheatre is not short on incredible views. The concert venue is carved into a rock formation. During the day, people can be found exercising, picnicking, and scoping out the wildlife at the amphitheater. Two hours from Denver, the Pawnee National Grassland allows visitors to explore to their heart’s content throughout 200,000 stunning acres of grassland. There are several hiking trails, and overnight campsites are also available. Field trips near and far are seamless with Shofur’s skilled drivers and entertaining buses. Young students can stay occupied for hours if needed if you equip your rental bus with the various entertainment features we offer. DVD players, personal power outlets, and onboard WiFi will provide plenty of fun on the bus ride to faraway field trip destinations. Of course, if you want those amenities for shorter trips to, say, Denver Botanic Gardens, we can still make that happen. Because of the various upgrades available, the buses we charter are also very popular for business events. Convention planners love the ease of booking multiple 56-passenger buses to accommodate their attendees. The modern vehicles in our network are just as reliable as the expert drivers. All it takes is one phone call to 1-800-436-8719. From there, you can have a quote and buses booked within minutes (if you’d like). See below for a few field trip destinations and convention centers in Denver and beyond that we are happy to service. These are just a few of the many places Shofur can take you. Kids can have all kinds of fun at this indoor adventure center. JungleQuest has ziplines, rock-climbing, and rope bridges for young ones to enjoy. Featuring conservation programs that play a major role protecting natural habitats and saving species, Denver Botanic Gardens on York Street present a variety of collections and gardens across its 24 acres. The Children’s Museum of Denver in downtown attracts about 450,000 visitors each year. There are 20 exhibits and the campus covers 9 acres. The Colorado Convention Center is the 12th largest convention center in the nation at 2,200,000 square feet. This multi-purpose convention center is located in downtown Denver. It first opened in 1900. Make things easier on yourself and call us today at 1-800-436-8719. You can get a bus quote within minutes, but you have no obligation to book. Our booking specialists are available 24/7 to make your Denver bus rental experience as smooth and simple as possible. Whether you need a minibus or a 56-seater, wedding shuttles or field trip buses, we are here to make your group transportation in and around Denver the best it can be. Are you ready to get rolling? Give us a call today to get started on your rental!